Six years. That was how long it has been for the person in focus today. Zulfahmi Khairuddin or better known by “Nick Harris” the commentator of MotoGP as Fahmi Khairuddin, this writing will discuss about his new venture to the World Superbike Championship. Specifically, the Banting boy will be competing under the roof of Orelac Racing using the Kawasaki ZX6R. This will be an exciting new endeavor for the Malaysian motorsports fans to witness a full season appearance by a Malaysian star rider. But it wasn’t always pretty by the people out here; there certainly have been a lot of pressure and negative thoughts given to Fahmi. It’s all about whether he still got it or even worse; does he have any of it at all. We’re discussing about that fire to win races and his ability to deliver the best performance and the most entertaining racing that us motorsports fans can watch. After all, this sport is just another means of entertainment. Fahmi will now be going into a stage where he’ll be needed to go up against a much different competition. We won’t know how it feels to race in the World Supersports stage, heck we wouldn’t even know how it feel to race in any international level of racing. But one thing for sure, the competition can be very brutal. Making it in the world stage such as the World Supersports Championship will need Fahmi to be three of four times more aggressive and intense in learning the traits there. It will require him to go beyond the level that he has ever been to. 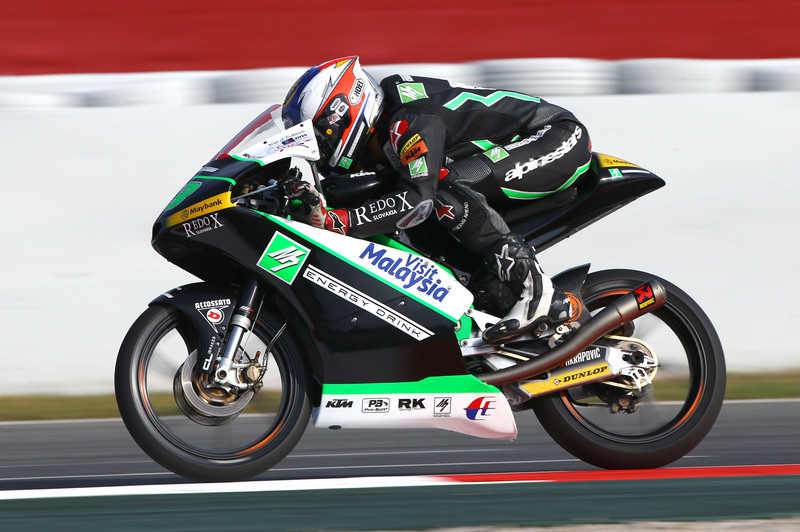 Malaysian Riders organization too is in guilt for becoming of those who had thought negatively for him. For now, we would like to give our utmost support and challenge to Fahmi to be successful in the World Supersports Championship. If the result is great, it’s not going to be for us as an organization, for the nation’s pride or even his family. Making it in the World Supersports will be for himself, not others. All we can write here for Fahmi is that, keep on training and keep on imagining winning the race and realizing it with all his heart. More news and stories shall be written here on Fahmi as he pursues his journey into a new realm. Best of luck to him and please do stay tune with us on FACEBOOK, YOUTUBE and TWITTER.